Day One of dmexco is over. Made me think why I attend dmexco every year and why I recommend dmexco to everybody in digital marketing. There are a lot of trade fairs out there, many of which are good. As an online marketer, it is quite easy to spend half of your working life attending digital marketing conferences and still learn more or expand your network to a different direction. But to stay productive, a marketer has to decide every year which event to attend. With so many great events quite often one has to make “tough” decisions. While there are a lot of conferences out there, true trade fairs are not often conducted in our industry. If there is a small fair accompanying the conference, it is usually booths in the lobby. Dmexco is different. It is a place where all the great players of our industry really show off. They create great presence; build up a village, where you can literally walk through the international ecosystem around digital marketing. 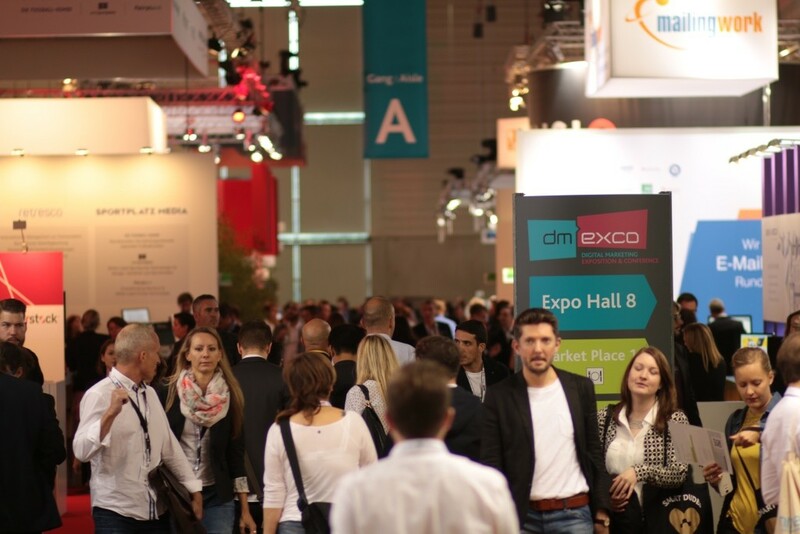 Starting as a trade fair, dmexco is more of a trade fair with a conference than the other way around. The conference has become bigger every year. What I really like about the conference is that you see very interesting figures from our industry who are usually not always present on stages. Do not get me wrong. I love all those entertaining guys like Gary Vaynerchuk on stage, but often it is more interesting to see the nuances in the panel discussion, when a great leader outlines the agenda for the next months and years. Digital marketing is a global business and with platforms like Facebook spreading like wildfire, there is a boom of international collaboration and also competition. You find this ecosystem in Cologne. I do not know why Germany is so good in attracting visitors from all around the world for their trade fairs like Cebit, Hannover Messe, IFA, but what I know is that you can benefit tremendously from this capability. You only have to convince a decision-maker from the US to come to cologne once and you can be sure to have the possibility to make appointments with them at dmexco every year. This is something personal. You might not care. I consider it is a great story. Dmexco developed from a local marketing show that was put together in the middle of the digital marketing crisis. Few German companies wanted the event to survive the meltdown after 2001. They kept a very small show alive. Without courage dmexco would not have been what it is today. Christian Muche and Frank Schneider are great curators and makers. They are not only enthusiastic about their product and relentlessly working on dmexco’s success; however they have something that inherits the nature of dmexco. Christian is a true global guy living in New Zealand, while Frank is living in Cologne. You see, this is how dmexco is set: They have a strong presence in the German digital marketing industry and developed an awesome international footprint over the years. This is presented in the conference. The content of the conference represents what is happening in the marketing industry. It used to be about banners and how to target them, now we talk about a huge digital marketing ecosystem, content marketing, native advertising, marketing automation etc. Amazing analytical capabilities and creativity are coming together. Now people are discussing their content strategies, how to engage with customers, how to create a loyal audience through content and then how to convert people into loyal fans. Learning: One thing that can be difficult about dmexco is the fact that there are too many things to do, too many parties attend, too many people to meet and too many discussions to have. Yes, you should make important appointments on the trade fair or you will not meet the right people at all, but you also have to take some time for serendipity. See your industry in a different angle and to just randomly chat about developing topics. Have a great last day at dmexco and maybe we might bump into each other.